Oooo these are good! 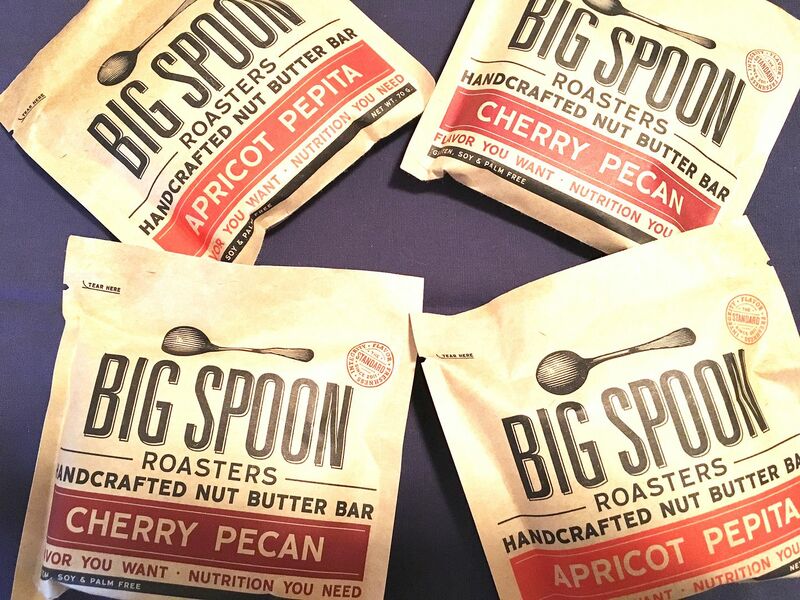 If you like peanut butter, then you will absolutely go crazy for the Big Spoon Roasters Handcrafted Nut Butter Bars! The star ingredients of these bars are the fresh-roasted peanut-pecan and peanut-pepita butters that were inspired by the hand made nut butters that the founder tasted while living in a rural farming community in Zimbabwe as a Peace Corp volunteer. The roasting and unique combination of nuts used in the artisan nut butters, quinoa flakes and crisps, and whole nuts make all the difference in creating a creamy, crunchy, delicious bar. They come in individually wrapped packages and have 280 calories, 15 grams of proteins, and 6 grams of dietary fiber. These bars are made by hand and are a bit crumbly, so be sure to eat them over something to get every last tasty crumb. Two flavors are offered: Cherry Pecan and Apricot Pepita. Big Spoon Roasters Handcrafted Nut Butter Bars are a definite must on your next TrailblazerGirl hiking adventure!